A best kept secret along the South Coast has to be The Labyryths on the beach below Face Rock. 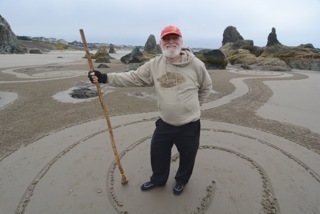 The artist who has spent the last few years creating these sand paintings is Denny Dyke of Coquille. The day I was out photographing his works he had quite a following of sand art aficionados. aficionados.